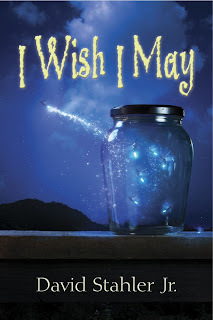 Satisfaction for Insatiable Readers: READ ALL ABOUT IT: I Wish I May by David Stahler Jr.
READ ALL ABOUT IT: I Wish I May by David Stahler Jr. Welcome back to the Monday edition of Satisfaction for Insatiable Readers....where we aim to show you that though usually seen as a dreary week day, you can stir up a little magic with the inclusion of a book any time any place. In fact, today's featured title has that requirement (magic that is) in spades and the mission it is on (to entertain...and something more) is most honorable indeed. Don't believe me? Oh ye of little faith. ^_^ You know I'd give you something to READ ALL ABOUT IT. Ready? Set? GO! When young Thurston Pickering opens a mysterious jar he’s found in the attic of his old house, he gets more than he bargained for. Soon, a green-skinned genie named Malthasar appears, charming the thirteen fireflies Thurston has collected in the jar. Each one offers a wish, a chance to fix every problem in Thurston’s life, with extra to spare. Good thing. For a twelve-year-old, Thurston has more than his fair share of trouble. No one at school seems to notice him—except for Jason Bean and his pack of bullies. His parents are so busy fighting with each other, they forgot his last birthday. Worst of all, his beloved dog Mollet has recently died, leaving him feeling more alone than ever. But with each wish, Thurston’s life takes a darker and stranger twist, and what at first seems like helpful advice from Malthasar turns out to be something quite different. Can Thurston discover the genie’s true designs—and a way to stop them—before it’s too late? Yep...I thought so too, and with good reason. If the author's name sounds familiar, you are an even brighter shining star than I already imagined you to be. Previously, I featured a review of his book Spinning Out, which while a little quirky in content, was definitely one to remember (and check out for yourself if you haven't had the opportunity!). I can only imagine with all the ingredients he has to work with here how interesting this read will be. Don't worry readers. I'll be featuring it in a review right here on the site, just a bit later this year so if you get to it before me, do tell about your experience...just don't release the spoilers! ^_^ This title is available now in ebook format. Now, though the book itself is enough to celebrate, there is one thing more DEFINITELY worth a mention...the mission to help that is connected to its sales. Author David Stahler Jr had an idea that he ran with and then that idea got lost in the shuffle. One day it surfaced and became the work that we are highlighting here (more about that journey can be found here) BUT an enjoyable way to while away the afternoon was not its only intent. You see, the book is dedicated to a special little guy in the author's life...his nephew William Johnson. 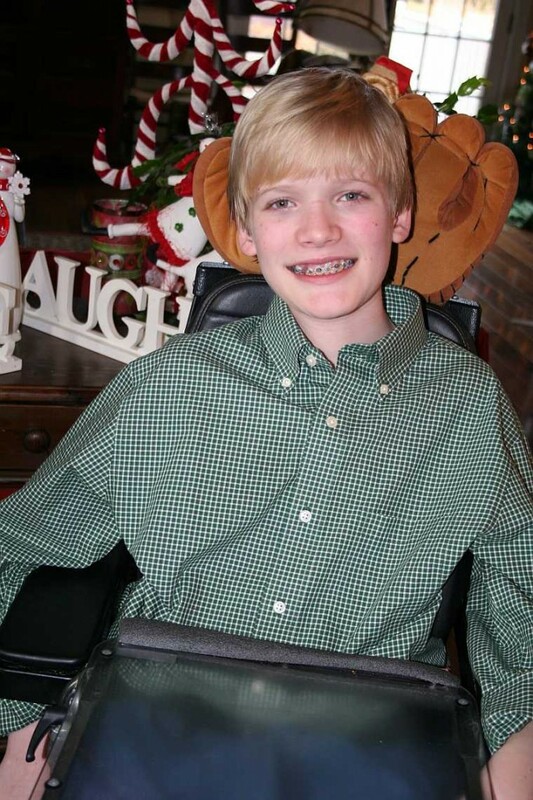 William was born with Spinal Muscular Atrophy (SMA), a degenerative motor neuron disease that affects approximately one out of every six thousand babies born. A portion of the proceeds from the sale of this book will be donated to Families of SMA, a nonprofit organization that funds research to find a cure for Spinal Muscular Atrophy. So in buying I Wish I May, you’re not only getting a great story, you’re helping William and thousands of children like him move one step closer to conquering this disease! So, what we have here is this...the chance to read what sounds like a magically infused and delightful story AND the chance to help those like William find a cure. Special thanks to author David Stahler, Jr for the chance to highlight his recent work and bookmarks up on the light he is shedding on SMA. (THANKS!) For more information on this title as well as his complete list of works, be sure to stop by his site or like him on Facebook. I LOVE the cover. What a cool thing to do. His nephew is adorable.